Children Seeing Sparkles: The Book is Done! Well, as I promised, the book I have been working on low these many days is finished! Does Your Child See Sparkles? 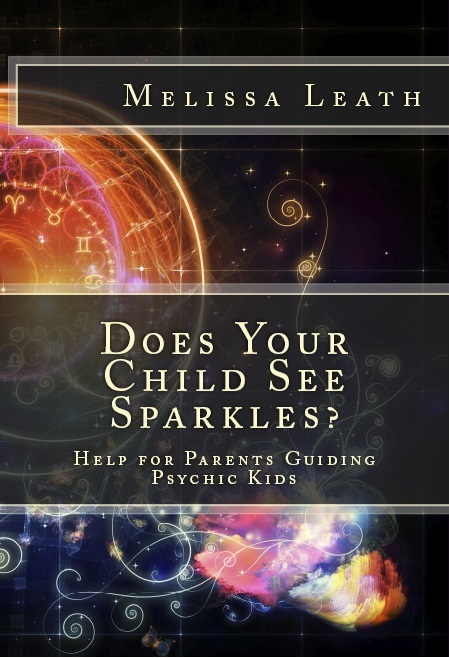 Help for Parents Guiding Psychic Kids is available for you on Amazon.com. The whole idea of a séance can be a scary one if you haven’t had any experience with them. I was lucky enough to sit in many séances in the 1980s an 90s in the little Spiritualist church I belonged to. Visiting mediums came at different times during the year to offer sermons, private readings, and what we all waited for: séances. Being connected with a Spiritualist church bypassed the worries of being bombarded with evil spirits and haunted by ghouls and unwelcome creatures from hell! We knew this was a spiritual endeavor and always surrounded with Light and Love, protected by our individual Spirit Guides and Angels. But for you, who may not have been so fortunate, and perhaps have heard of disturbing tales of fear and possession, let me give you a few tips for attending a séance — just in case you ever get the chance to attend one. Investigate the medium and sponsor involved. Make sure you know the medium that will be giving the séance. Are they reputable? do they have a spiritual character? I am not emphasizing religion here, rather, spirituality. The medium should have a good standing with metaphysical people in the area, and be known for producing empowering sessions. If you cannot find anyone who knows the medium, or can speak well of them, then pass this one by. The same thing goes for the person involved in sponsoring the medium and location of the event. These things all matter in the outcome. Know what type of séance is being held. There are so many different types of séances and ways to present them. True old fashioned séances always took place in total darkness. But there are some mediums that are able to produce phenomena in the light. I have witnessed this and it is very powerful to see! This way, you can pretty much rule out fakery (and, yes, I have seen this too). Just a few of the different types are: deep trance which can include physical mediumship with direct voice, levitation, independent writing or painting, partial or full materialization of spirit bodies or apports (objects that materialize out of thin air), etc. Sometimes these things can be accomplished through mental mediumship as well. Sometimes mental mediums will call a séance in a circle and just give spirit messages. I do not consider this a séance, but I would call it a Spirit Circle. Do not give away too much information. Keep your personal information to yourself. To prove to yourself that the séance is legitimate, make sure you do not spread the word that your grandmother just passed away two weeks ago, for instance. This type of information has been known to be used to fake a séance (or reading). There was much talk about John Edward and other mediums when they had television galleries, etc. People said that there were spies in the crowd that gathered before the shows, and would collect names and stories from the audience before hand. Whether this really happened or not I do not know. I just remember the talk about it. I have always held John Edward in high esteem. I just give him as a example. So if you do not give away any personal information, you can be sure of truth when there is spirit evidence presented. Before you go, spend some time grounding yourself and thinking loving thoughts. Keep a positive attitude. Ask that you be protected with Light and Love and that you only receive positive and uplifting energy and information. Bring your spirit loved ones with you. Ask the loved ones that have passed away or your spirit guides to be there and leave messages. You will get much better results if you take your spirit entourage with you. That helps the medium to connect easier. Don’t cause a disturbance, be respectful. 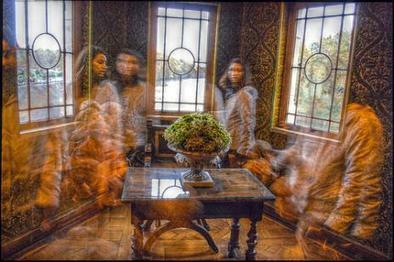 When entering into a séance, the medium and the spirits work off of energy. so it is important for you to be positive, and greet the spirits when they present themselves. When a spirit might greet you by saying hello, return the greeting! That is only respectful! And you get a better connection that way. No matter what is going on, even if you feel it might be a faked séance, please remain calm and respectful. There is no reason to lay blame or bring about a heavy or negative vibration. Well, that should be a few great tips for you! If you decide to go to a séance or a Spirit Circle, I hope you remember these ideas. 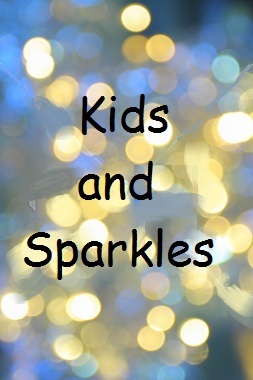 Since I am finalizing the editing and such with my newest book, Does Your Child See Sparkles? 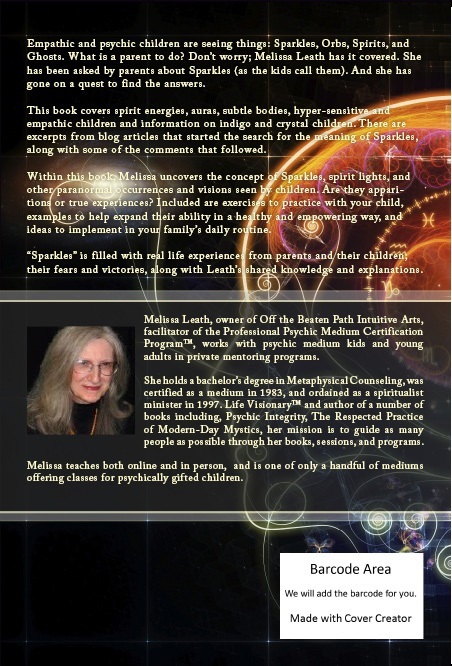 Help for Parents Guiding Psychic Children, I thought it a good idea to share some more of the book with you. 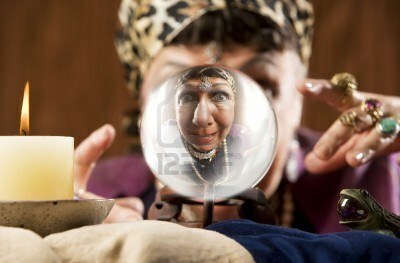 “Many parents teach their children at a very young age to block psychic images. Humans feel better when we all experience things in similar ways. They may tell their children that imaginary friends are not real, and that visions are just bad dreams. This sends a message to the child that they should mistrust what they actually experience, and instead rely on adult reality. It robs children of a sense of self-trust that they will definitely need to find their way in the world. “We all have telepathic abilities and use this as a method of communication to send messages even when we are not aware of doing so. You may think of an old friend that you haven’t connected with in years and in the next day or so you get an email or phone call from them. The two of you connected telepathically (which I like to call the Field of Synchronicity) and this mental “signal” brought about an urge to take action and connect physically. “But many children are experiencing much more than that. They may unconsciously move between both the psychic realms and the physical realms at the same time. They may even recognize parallel universes, alternate realities, and multiple dimensions all layered together at once. They may not be able to distinguish between our familiar third dimension and the many layers of “other worlds”. It becomes difficult to make sense of it all, or to even know that other people do not experience it the same way! “As a result, your child may see spirit beings or entities from other dimensions or realities right in front of their eyes, (not knowing that our “normal” vision doesn’t register this anomaly). “This is not only challenging and confusing for children, but perhaps overwhelming in a more material world where psychic and spiritual phenomena are rarely acknowledged. Does Your Child See Sparkles? will be available the end of August. Don’t worry! I’ll be letting you know about it.